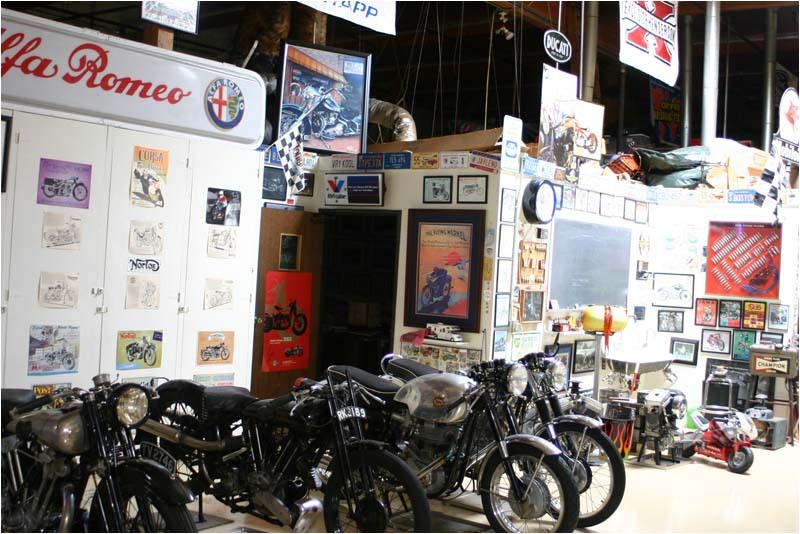 The invite seemed like a dream come true .. His classic car and motorcycle collections are just incredible. All vehicles are insured and ready to take out for a ride at any time. 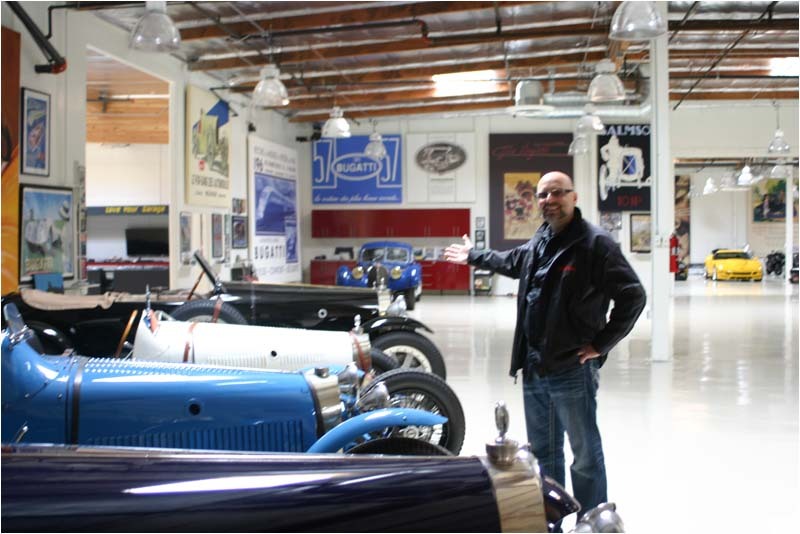 We were given a private tour through the shop and heard stories on certain vehicles which were very interesting and amazing. It was like the “Henry Ford Museum”, he even has large steam engines and large generators from factories … way cool. My wife and I were then invited to the “Tonight Show”. WHAT A GREAT SHOW .. lively show that was very entertaining with a great band and great guests. It was lots of fun! I was amazed by the decor surrounding the stage that you don’t see on TV. It is like wallpapered art of classic cars ranging from front and back end shots to a large speedometer mural on one wall. On the outside, large garage doors have a mural of a blue cobra that was just awesome. Jay has his mark all around. The next morning was the interview about my art. I was a little nervous, but it went very well. Jay is an easy person to talk to. He is just a car guy like us, very nice and humble. 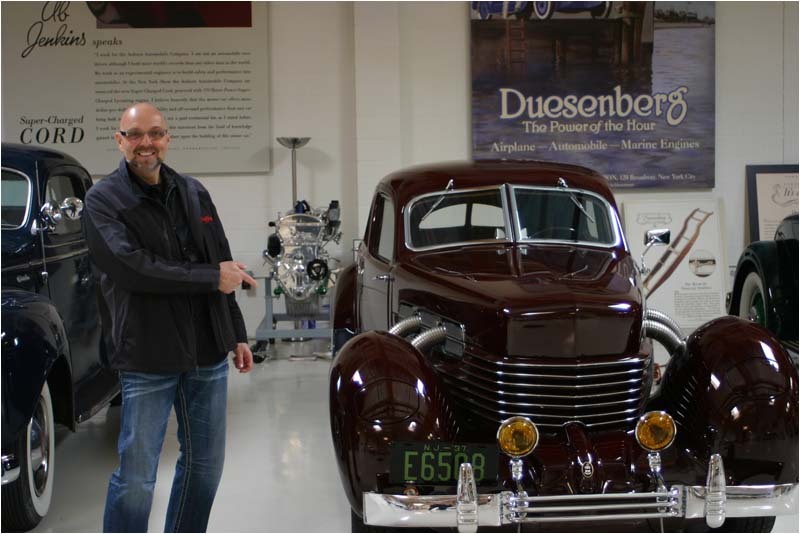 We met his team working for him restoring cars and managing the vehicles. We spent most of the day and had lunch with him and his crew. It was a moment that my wife and I will never forget. 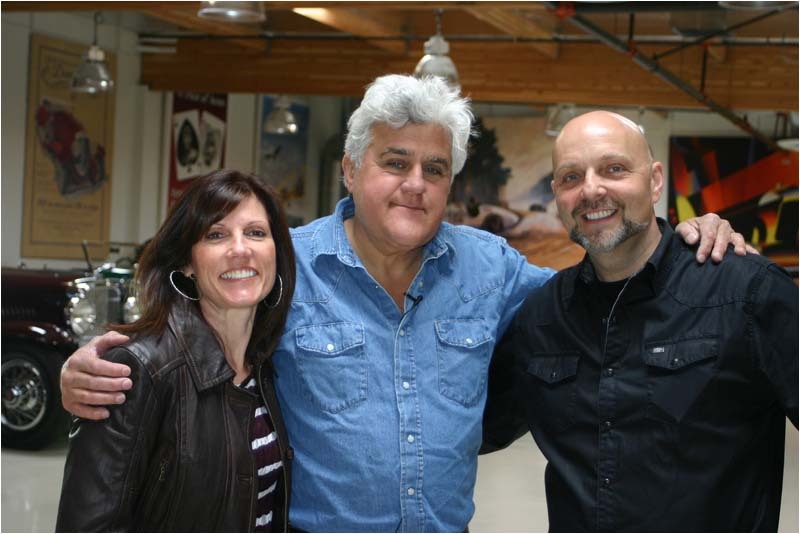 More pictures of the garage are available on Jay’s website, Jay Leno’s Garage.